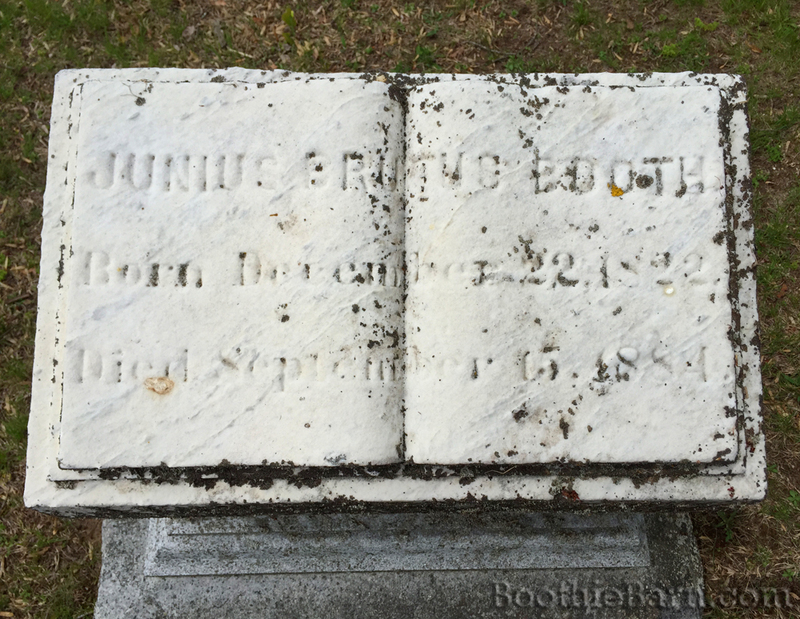 Grave Thursday: Junius Brutus Booth, Jr.
Each week I am highlighting the final resting place of someone related to the Lincoln assassination story. It may be the grave of someone whose name looms large in assassination literature, like a conspirator, or the grave of one of the many minor characters who crossed paths with history. Welcome to Grave Thursday. Junius Brutus Booth, Jr. was the eldest brother of John Wilkes Booth, the assassin of Lincoln. For much of his younger brother’s upbringing, June (sixteen years John Wilkes’ senior) was acting in California. By the time June returned from the west, John Wilkes was grown and beginning his own acting career. Nevertheless, out of all of the Booth brothers, June may have had the closest relationship to John Wilkes. The differences in their ages and June’s more substantial life experiences likely made June a surrogate father figure to his younger brother. John Wilkes also took great interest in the lives of June’s children, doting upon and nurturing the acting careers of his nieces. More than anyone else in the family, June was the most sympathetic to John Wilkes’ political views. While June did not address politics with the same passion as John Wilkes, he was, nevertheless, more Confederate in his sympathies than the other Booths during the Civil War. However, June knew that he was a father and breadwinner to his children first and so he kept most of his sympathies to himself to protect his income and family. While John Wilkes was close to June, he did not confide in him about his plot against Lincoln. In spring of 1865, John Wilkes kept up the charade among his family that he had made a fortune in the oil business and that he need not act upon the stage any more. Shortly before Lincoln’s assassination, June had learned the truth of John Wilkes’ failure in his oil ventures and wrote to him to “let go yr oil bus.” and “attend to your profession”. June was unaware that, since his failure in the oil fields, John Wilkes had referred to his plot to kidnap Lincoln as the “oil business”. When detectives found June’s letter while searching John Wilkes’ rented room at the National, they believed the elder Booth might have known of his brother’s plot. After barely escaping mob justice in Cincinnati where he had been performing, June was arrested at his sister’s house in Philadelphia. He and his brother-in-law, John Sleeper Clarke, were kept at the Old Capitol Prison in D.C. until they were released in the month of June. Post assassination, Junius Brutus Booth returned to his career as an actor and theater manager. He married his third wife, Agnes Perry, in 1867 and had four boys with her, two of whom would survive into adulthood and become actors themselves. In his later years, Junius moved to Manchester-by-the-Sea in Massachusetts. June and Agnes opened and ran a large hotel called the Masconomo House where they often arranged for outdoor theatrical performances, including some of the earliest “Shakespeare in the Park” performances that had ever occurred. 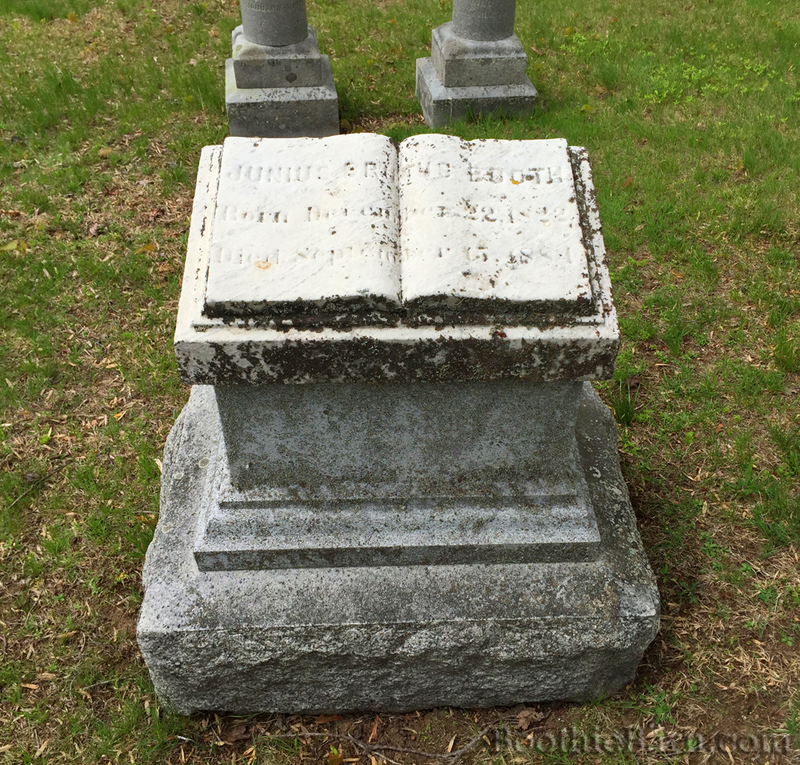 When Junius Brutus Booth, Jr. died in 1883 he was not interred in the Booth family plot at Green Mount Cemetery in Baltimore. 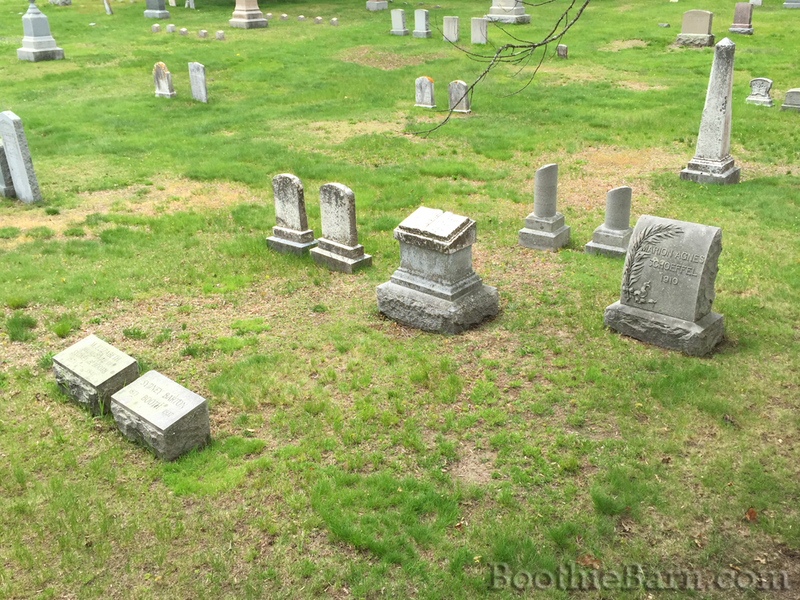 Instead, June is buried in Manchester-by-the-Sea at Rosedale Cemetery. His two young sons by Agnes preceded him in death. Agnes and a third son, Sydney Barton, were later buried in the same plot. Check out the Maps page for more details. 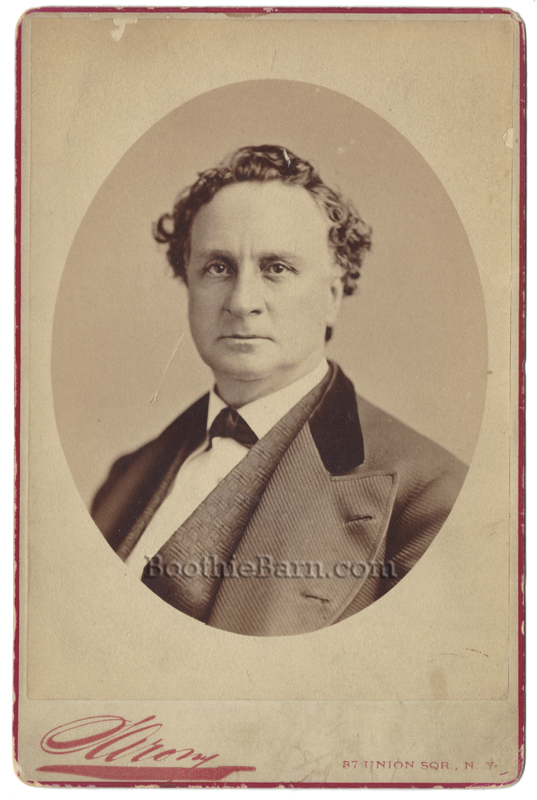 For more images of Junius Brutus Booth, Jr., his wives, and his children, visit the Junius Brutus Booth, Jr. Picture Gallery. I am loving this post every week. I love history and this makes my day when I receive it. Keep up the good work!